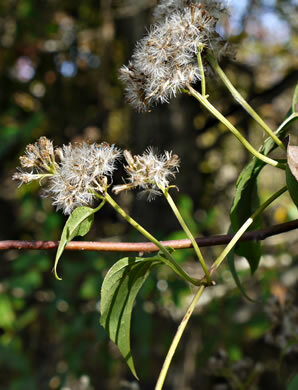 Nutlets in tight clusters, topped with whitish barbed [pappus] bristles, per Forest Plants of the Southeast and Their Wildlife Uses. 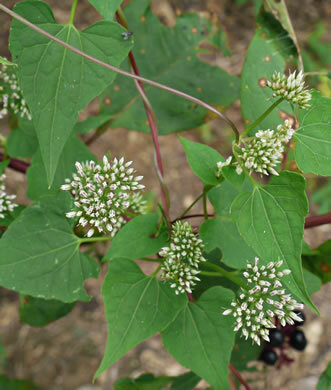 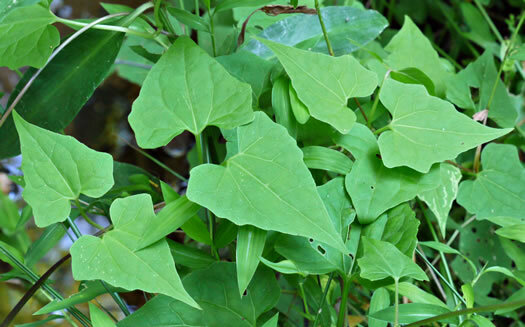 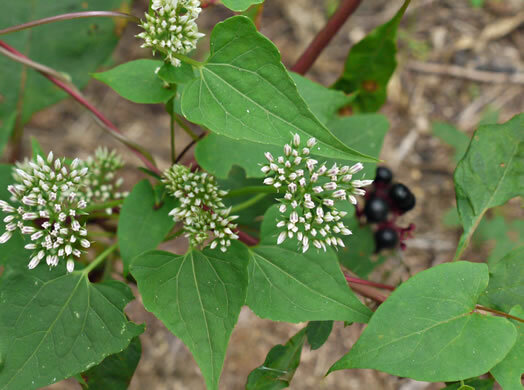 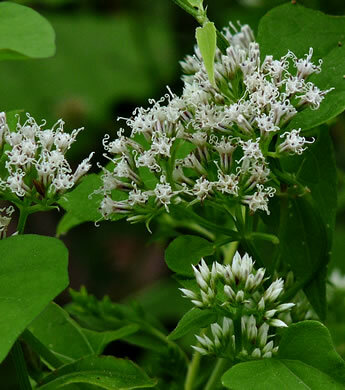 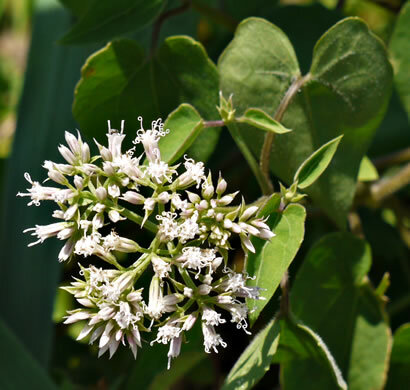 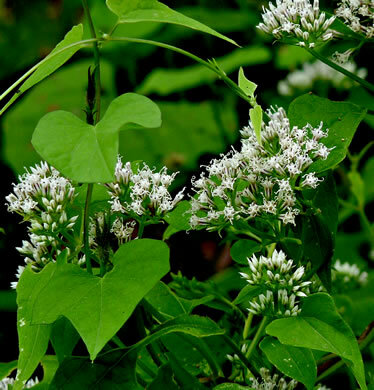 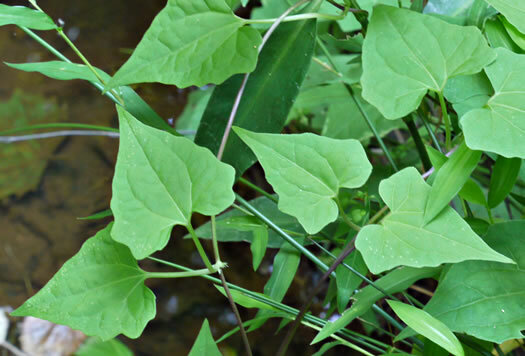 Leaves cordate at base with wide sinuses, 2 lateral veins prominent, per Vascular Flora of the Carolinas. 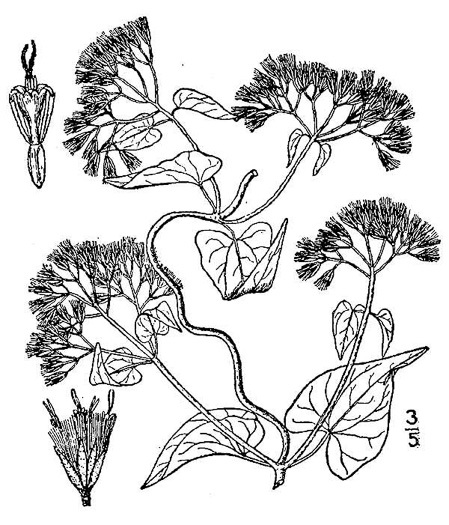 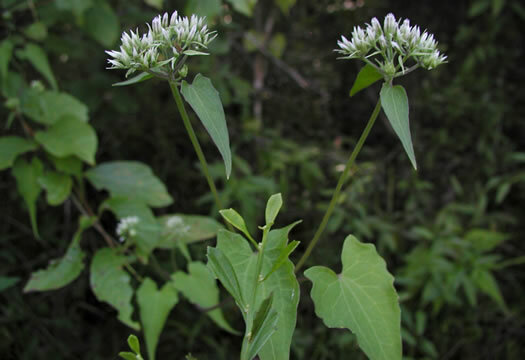 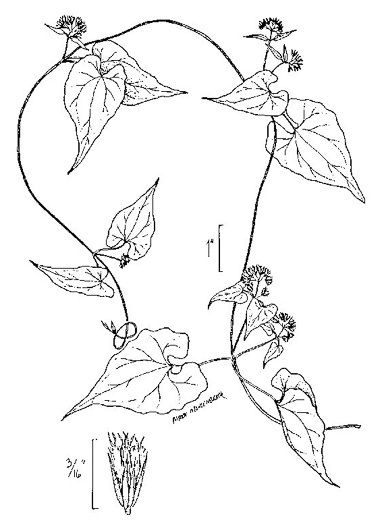 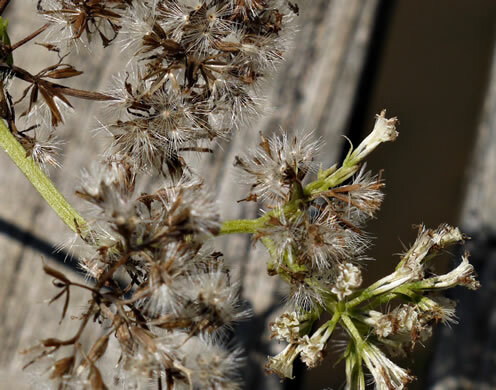 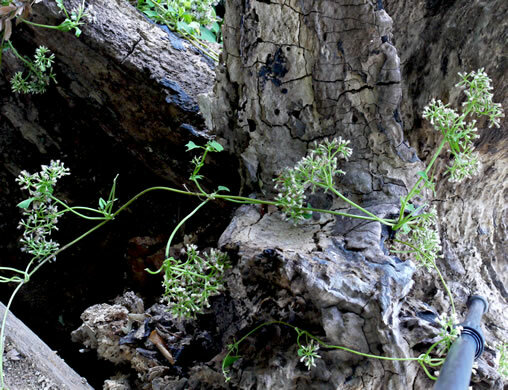 Heads at the tips of long stalks (longer than leaves) from leaf axils, per Wildflowers of Tennessee, the Ohio Valley, and the Southern Appalachians. 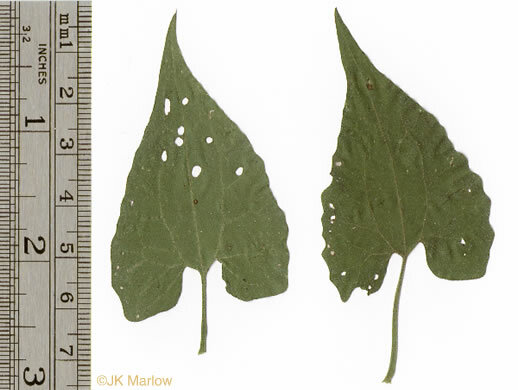 Compare the pinnately veined leaf of Fallopia (bottom right). 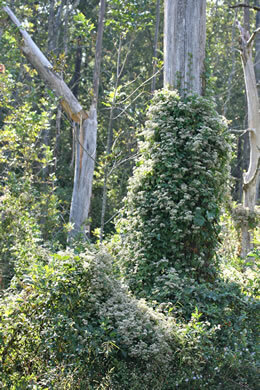 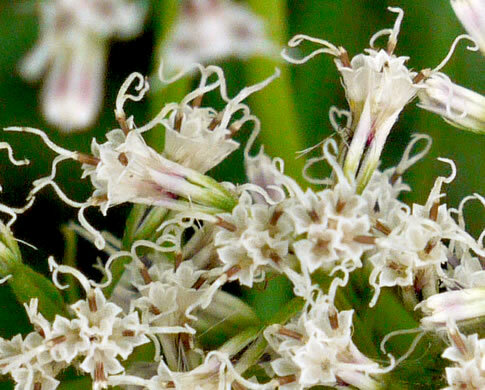 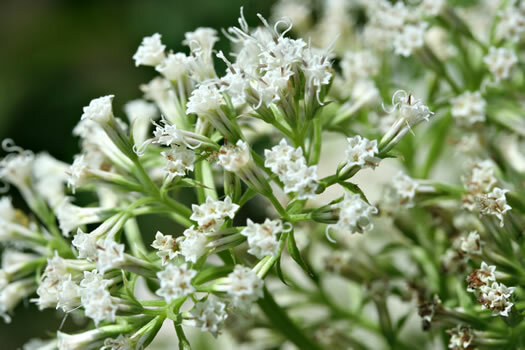 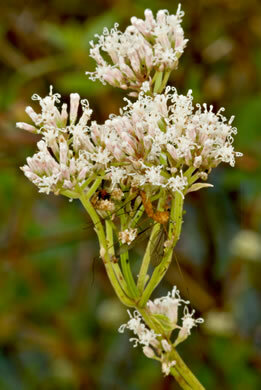 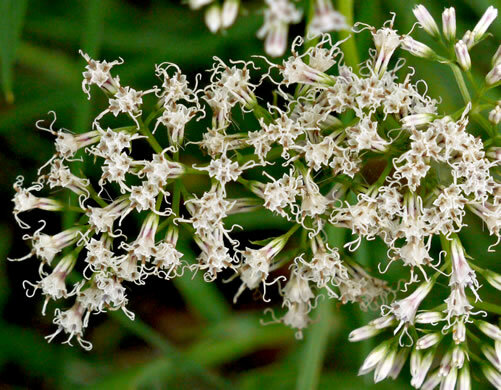 Numerous heads, each with 4 disc flowers, in small rounded clusters, per Wildflowers of the Southern Mountains. 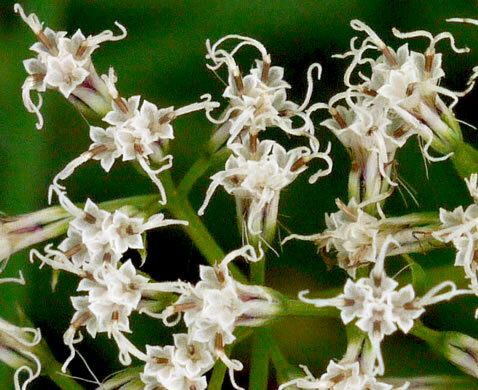 Each head has 4 acuminate, nearly smooth, involucral bracts, per Wildflowers of Tennessee, the Ohio Valley, and the Southern Appalachians.